I have been going on and on and on about the fifth meeting of the Federal News Radio Book Club. Well, tomorrow is the big day. The “meeting” of the book club comes up at 2p ET on Federal News Radio 1500 AM’s In Depth with Francis Rose show… and we are discussing the book Payback: Reaping the Rewards of Innovation by James P. Andrew, Harold L. Sirkin, and John Butman. And I expect that both federal chief technology officer Aneesh Chopra, who selected the book in an interview with Federal News Radio’s Jason Miller. (You can hear that interview from here)… and the author, Jim Andrew, will be here in Federal News Radio’s Studio 1-A. * We’ll start talking about innovation. Chopra has made it part of his mantra. 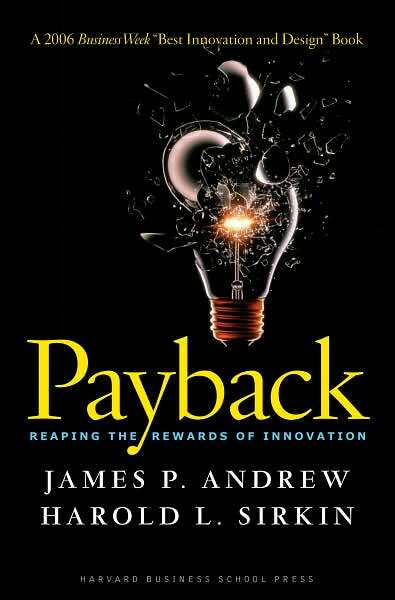 And Payback looks at how an organization can make innovation matter — and may it pay off. * Why does innovation end up being challenging? * Why does innovation in government seem particularly challenging? * The book largely focuses on the private sector. Do the lessons from the private sector work for the public sector? If you have questions or comments about the book… or about innovation… you can offer up thoughts, comments, insights, questions, discussion topics… whatever you want to add to the discussion… You can do that here on the DorobekInsider… you can do that on the Payback book club meeting’s Facebook event page… on my Facebook page… you can do that through on my Twitter feed… or just an e-mail — cdorobek at chrisdorobek.com. Neil Williams, of the Department for Business, Innovation and Skills (BIS), published the “template” strategy. You the full BBC story here. Read Williams’ full post about the Twitter strategy here. For the next version of this document I’d like to set down how and when civil servants should support, encourage and manage Ministers’ use of Twitter for Departmental business (and navigate the minefield of propriety this might imply), and add a light touch policy for officials who tweet about their work in a personal capacity. To plan varied and interesting content, and enthuse those who will provide it into actively wanting to do so. I hope you’ll find it useful too. I should note here in the US, there is a somewhat grass roots group called the Social Media Subcouncil, which hosts a wiki and collects information about items just like this. EPA’s Jeffrey Levy was on Federal News Radio 1500 AM’s Daily Debrief with Chris Dorobek and Amy Morris earlier this year talking about the group and what they hope to accomplish. Hear that conversation here… and see the subcouncil’s collection of best practices and policies here. KNAPP, RITA (Pat) RIEHLMANN Beloved wife, devoted mother of four, age 83, died peacefully on July 24, 2009, at her home in Solana Beach, CA. Born October 5, 1925, in New Orleans, she personified its joie de vivre. She is survived by her children, Greg (Tujunga, CA) and his wife, Cathleen; Sam (San Diego, CA); Deirdre (Arlington, VA); and Steve (San Francisco, CA); her brother, Bernard; and a host of nieces, nephews and cherished friends. She was married to Norbert G. Knapp for 45 years; he died in 1993. Avid beachgoers, they loved tennis, baseball, dancing, and world travel. An LSU English graduate, Pat was an avid reader and letter writer, raconteur, crossword puzzle enthusiast and bridge player par excellence. She will be remembered for her strong faith in the Good Lord, her devotion to her family, her wonderful acts of kindness, and extraordinary intellect. Visitation on Thursday, July 30th, 6 p.m.-9 p.m. at El Camino Memorial, 340 Melrose Ave., Encinitas, CA 92024, with Rosary at 7:30 p.m. Friday, July 31st, Funeral Mass at 11 a.m. at St. James Catholic Church, 625 S. Nardo Ave., Solana Beach, CA 92075, followed by a private burial at El Camino Memorial Park. Reception at 2:30 p.m. at the Knapp’s, Del Mar Beach Club, 163 South Shore Drive, Solana Beach, CA 92075. I spoke to Murray from London Tuesday… and, over all, I’d say she is doing as well as one might imagine. She was totally surprised — in fact, she barely was able to pack to get out to San Diego. As I mentioned previously, she had just had a 10 day trip with her mother across Southern California that I had helped Murray plan… Deirdre was thankful that she had that time with her mother. Anybody who knows Murray knows she is close to her family — close enough to discuss the hortatory subjunctive. 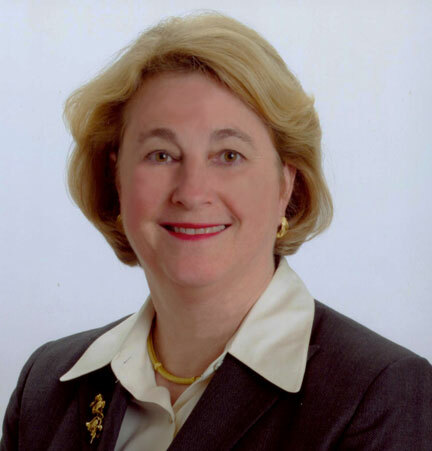 A very sad note… I just learned that Pat Knapp, the mother of Qwest’s Deirdre Murray, passed away suddenly over the weekend. Murray had literally just returned last week after spending a week with her mother on a Southern California journey — they got to see Jay Leno perform in Hollywood and they traveled to Santa Barbara. I had helped arrange a meeting with my favorite artist, B.J. Stapen, who invited Deirdre and Pat to her home. They had also visited Los Olivos, CA, and dined at the Los Olivos Cafe where parts of the movie Sideways was filmed. Murray had a remarkable time. She is very close to her family — and to her mother — and I can only imagine how traumatic this is for her. But she will have those cherished memories. Unfortunately I can’t find the obituary with specific information about contributions and funeral details. I know there is a group of ladies in government IT — they call themselves the Power Pearls — who are collecting contributions. I also heard from the Pearls that there is a ceremony on Friday at 11a (PT, I assume) at St. James Catholic Church in Solana Beach, CA, but I haven’t been able to confirm that further. If you want to reach out to me — cdorobek at chrisdorobek.com and/or c/o Federal News Radio 1500 AM, 3400 Idaho Ave, NW, Washington, DC 20016 — and I will make sure cards and letters get to Murray. And I will post additional information as I get it. Meanwhile, I know the government IT community sends their thoughts and prayers to Deirdre Murray and her siblings. Chopra was always going to be here in Federal News Radio’s studio 1-A on Friday, July 31 at 2p ET on In Depth with Francis Rose program… and, our course, Rose and myself will be there… But the author of the book, Jim Andrew, senior partner and managing director of Boston Consulting Group’s innovation group will also be joining us live — in studio. Of course, if you want have questions or comments… you can do that here on the DorobekInsider… you can do that on the Payback book club meeting’s Facebook event page… on my Facebook page… you can do that through on my Twitter feed… or just an e-mail — cdorobek at chrisdorobek.com. It should be a great discussion.